is progressing quickly. 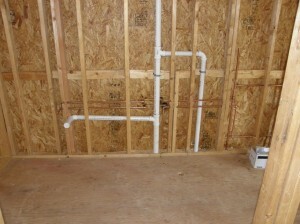 A/C and plumbing have been installed. The 42″ gas fireplace was installed Friday. Electrical work will be next, along with more City inspections. The front elevation is about to be transformed. 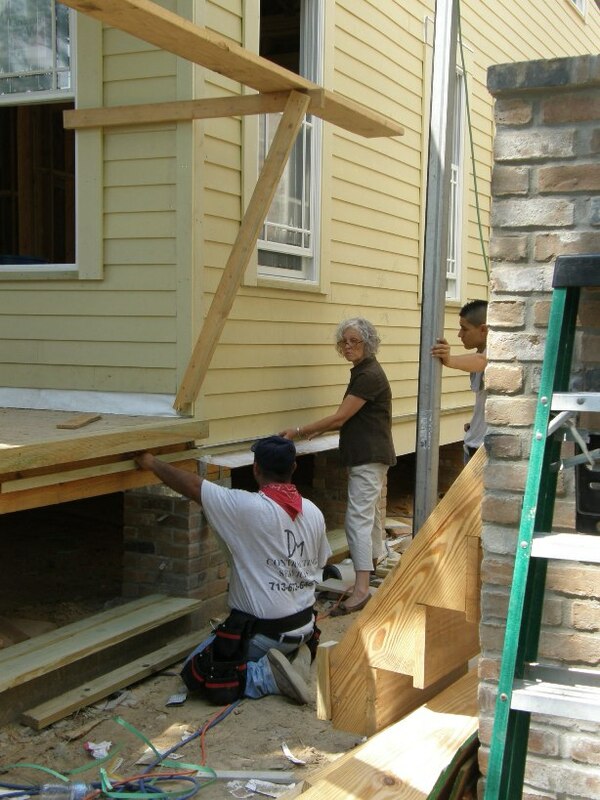 The skirt around the porch is on: the photos shows detail of this as well as one of Dee (Dee Todd Simmons) pointing out how she wants it done. The wood columns will be built next week, and the steps added. At this point the Craftsman style will really show. Site clean-up was being done Friday so the front steps can be done. Before adding steps though, concrete pads must be in place. 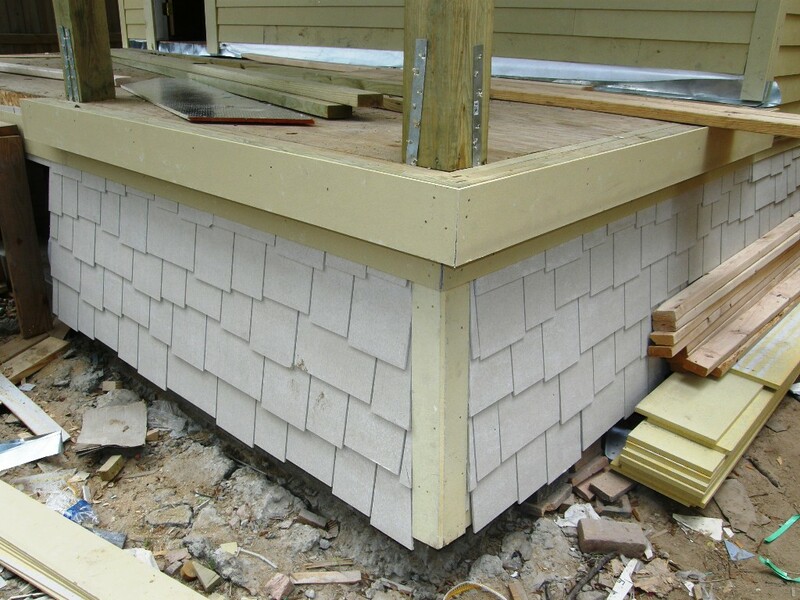 So…remove debris; pour pads for all the steps (front, back and stairs to room above garage); thean build the final stairs. Every step has to wait for something else to be done. 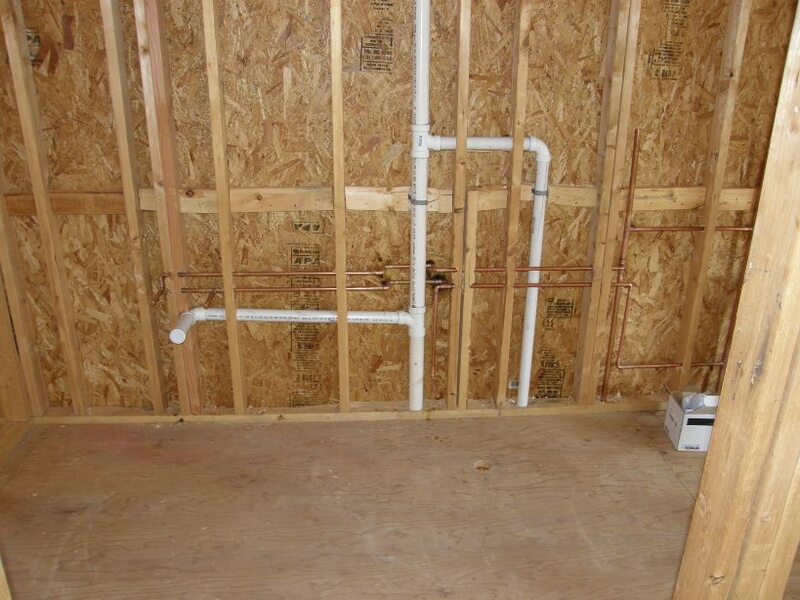 Copper Water Supply Pipes Instead of PVC! 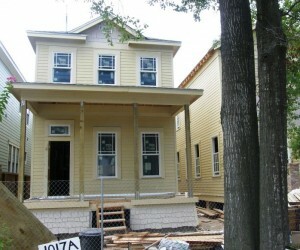 Details on the second house (1017B Waverly) will be added soon. It will be roughly the same size, but different interior plan and features. Houston Heights new construction in general is known for it’s quality and trim details. 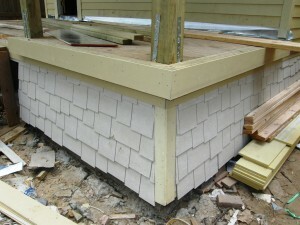 HDT Builders takes this a step further though. This will become even more apparent as work progresses. « Wal-Mart is Coming to the Heights – Horrors ! ?